I am so excited that we Texans are finally going to experience a nice little "cool front" tomorrow. Lows in the 40's? YES PLEASE! AND because I love you, because I'm so thankful. 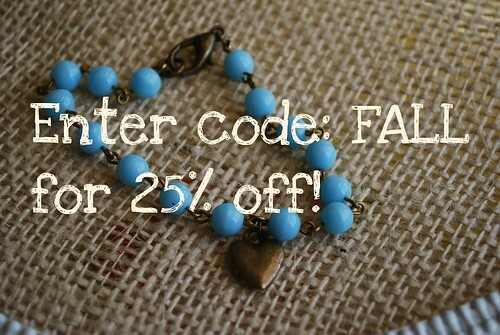 Because I love fall and I love these new HOPE bracelets, I'm giving you a 25% off discount in the Splendor Shop! 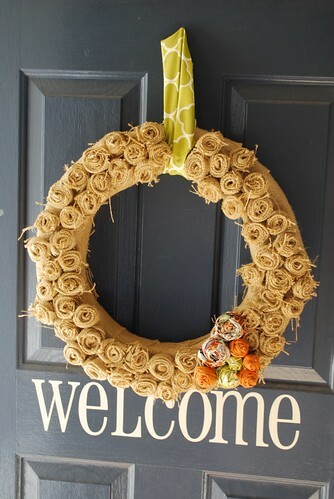 And be sure to stop back by tomorrow-- I'm showing you how to make these burlap rosette wreaths! all lookin' so awesome! my fav is pumpkin choc chip cookies. i have a recipe i posted on cake & cotton last year and I'm SO glad you're reminding me to make them!! i want to make those cookies. ca is finally cooling down...PRAISE JESUS! I am a Texan too and so excited about the cool weather! Fall might finally get here for us! but I LOVE the pumpkin+chocolate combo- it's my go to holiday cupcake! ok, just had to tell you that yesterday i made the cookie recipe but put the batter in a giant ziploc and piped it into mini muffin papers. i actually like it a little better as muffins because then they don't stick together and the texture is more cake-like anyway. i also used mini choc chips so it wouldn't clog my piping :) did you ever try them? ?